PROACCESS 200 SA HID SLAVE PROXIMITY CARD READER - Security Brands, Inc. The American Access Syetems, Inc. ProAccess 200sa is a highly sophisticated, yet simple to use PC based card reader. 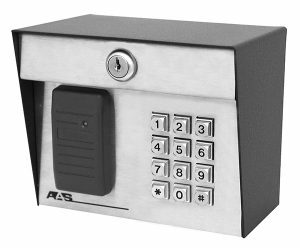 With the ability to accept an one wiegand output devices; keypads, card readers, transmitters or other wiegand output device. 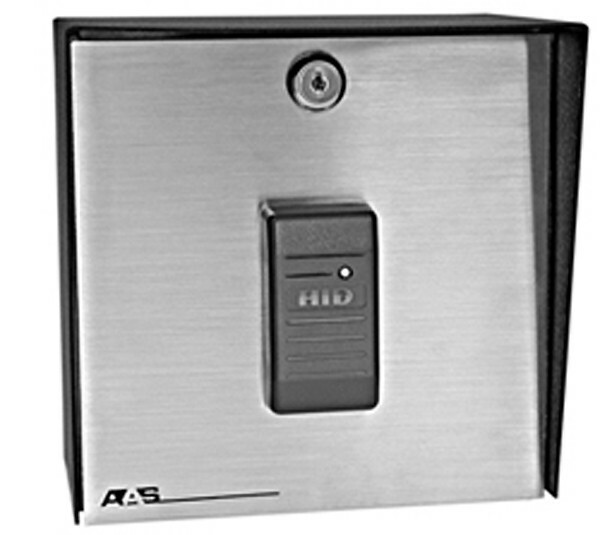 The ProAccess 200sa is a versatile, card reader with multi door/gate controller perfect for almost any application. 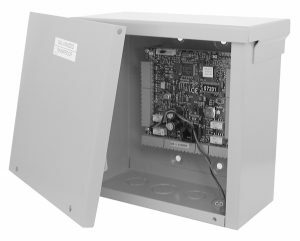 The ProAccess 200sa comes standard in a heavy gauge metal powder coated enclosure and stainless front panel that mounts directly to a pedestal or can be surface mounted. Simply install the system and program with a laptop computer for standalone operation or connect to a desktop PC via the RS-232 or RS-485 port for real time transaction monitoring. 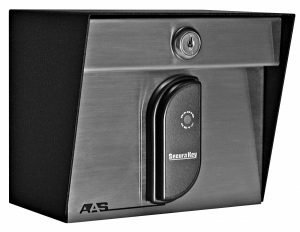 The card reader has one auxiliary input which may be programmed to function as a door open, remote inactive, door monitor, tamper, arming circuit, door unlock or use defined input. Each relay has two outputs – one for activation of the operating device and the other programmable to activate under many possible alarm conditions, time zones or card violations. 100 of the ProAccess 200sa controllers may be networked together using a single twisted pair RS-485 cable. 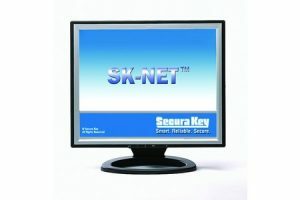 This allows for 200 different input devices to be controlled with ease from one central PC (locally or via a modem over standard phone lines) using SK-NET, a full featured Windows based software. This is a slave component.